Visit Our Eye Doctor In Kent, WA For All Your Vision Needs! 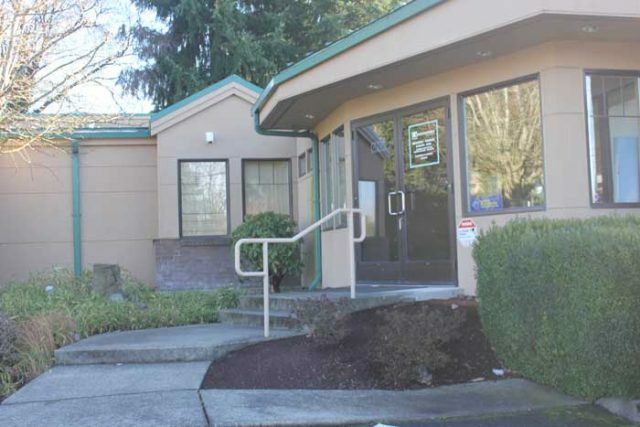 Our team of experienced eye doctors welcomes you to visit our Kent, WA, optometry practice to experience superior eye care for all your vision needs. We combine first-rate expertise, cutting-edge technologies, and a compassionate manner to ensure that you receive the best possible care. Our vision services include all primary eye care needs for adults and children, with personalized attention. Our Kent optometrist believes that a solid, positive relationship with each patient is the only way to provide optimal eye care and promote long-lasting, healthy vision. Stop by anytime to browse our optical collection or replenish your supply of contact lenses, or call ahead to book your eye exam! In case of emergency, contact us for an urgent eye exam and immediate assistance. Your Kent eye doctor performs comprehensive eye exams to assess both your vision and eye health. We use the latest optometric equipment to issue precise vision prescriptions and check closely for any signs of ocular diseases, such as glaucoma, cataracts, diabetic retinopathy, and macular degeneration. If you have an eye disease, we will administer regular follow-up eye exams to monitor your condition and confirm that your treatment is as effective as possible. If you have diabetes, it is particularly important to visit our Kent eye doctor for regular examinations. We will partner with your physicians and notify them of any changes in your eyes in order to maximize your diabetes management. Our Kent optometrist specializes in caring for ocular disease to protect your sight and prevent complications and vision loss. Following a detailed eye exam, our eye doctor will provide you with an accurate vision prescription. We will discuss your vision and the most suitable corrective eyewear. Depending upon your lifestyle requirements, visual needs, and fashion preferences, we will fit you with eyeglasses or contact lenses (or both!). Our optical display includes many stylish designer frames and an extensive selection of contact lenses from brand-name manufacturers. Are you interested in orthokeratology? We specialize in fitting ortho-k lenses for corneal reshaping; ask us about whether you are a good candidate! See What Kent, WA, Has to Offer! Set in the heart of the Seattle-Tacoma metropolitan area, Kent has plenty of attractions to keep you busy! To get started, we recommend going into the past by visiting some unique and fascinating local museums. The Hydroplane and Raceboat Museum is a true gem in Kent, WA, for vintage lovers. The museum features many of the famous Unlimited Hydroplanes of the past, along with a repair shop where they restore old boats back to working condition. You can also watch rare racing footage dating back over 70 years. The Pickleball Museum is another one-of-a-kind site that we encourage you to visit in Kent! See original 1960s pickleball equipment for this paddle sport, and learn all about the early players. Kent, WA, has over 30 miles of paved trails waiting for exploration. Routes range from easy to advanced; the choice is yours. The Earthworks Tour is a signed bike route from 12-23 miles, which brings cyclists up close with art installations in the landscape. The Green River Trails spans about 20 miles along the picturesque Green River, connecting Kent to the southern edge of Seattle. For a loop trail, we recommend the Kent Valley Trails that link the Green River and Interurban trails, bringing you to city parks and downtown Kent. Would you prefer to keep your feet on the ground instead of pedaling? Walk through the Green River Natural Resources Area, where there is a network of gravel and grassy trails for walking or jogging. Look out for small critters hopping or fluttering by! Kent Station is a fabulous urban village with over 50 stores, great restaurants, a multiplex movie theater, and a calendar jam-packed with special events. Smack in the center of downtown Kent, this is the ultimate destination for when your shopping bug bites. And on the topic of bites – our optometrists can recommend a number of nearby places to eat. Paolo’s Italian Restaurant serves savory pasta in a Tuscan-style setting, Aguacateros Restaurant and Taqueria will satisfy you with comfort Mexican food, and Saigon Soul Vietnamese Restaurant prepares awesome pho and flavorful rice noodle dishes. 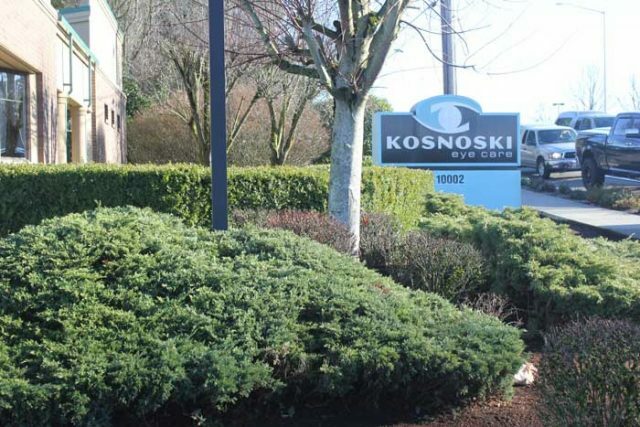 All of these restaurants are located within a one-minute drive to Kosnoski Eye Care.